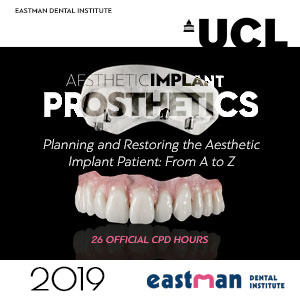 This course is designed for dentists who wish to remain at the cutting edge of contemporary aesthetic implant dentistry. 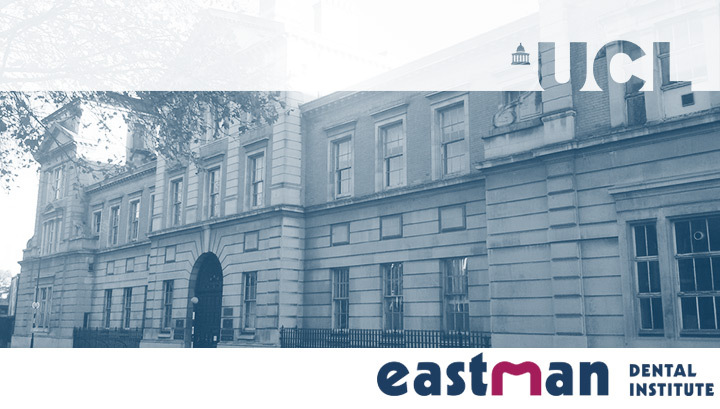 Upon satisfactory completion of this programme, participants will be awarded with a UCL Eastman CPD Attendance Certificate, attesting to attendance at a maximum of 26 verifiable CPD credit hours. Gianluca Paniz achieved his dental degree (DDS) at the University of Padova (Italy) in 2002. He attended TUFTS University (Boston, USA) and achieved the Certificate of Advanced Education in Prosthodontics (2006), the Master of Science (2006) and the Certificate of Advanced Education in Esthetic Dentistry (2007). At the moment Gianluca Paniz is Adjunct Assistant Professor in the Department of Prosthodontics and Operative Dentistry at TUFTS University and Visiting Professor in the Department of Implantology at the University of Padova. Gianluca is Diplomate of the American Board of Prosthodontics and International Fellow of the American College of Prosthodontics, Member of the Italian Academy of Prosthetic Dentistry (AIOP), Active Member of the of the Italian Academy of Aesthetic Dentistry (IAED) and President of the Scientific Committee of Italian Society of Osseointegration (SIO). He is currently a Phd Candidate at University of Catalunya, Barcelona, Spain. Gianluca Paniz limits his practice to prosthodontics in his offices in Padova, Italy. The philosophy of aesthetically driven implant planning and placement. What are the necessary preparation phases prior to surgery. Records of the full-mouth rehabilitation patient. Fixed and removable implant supported prostheses for completely or partially edentulous patients, indications, advantages and challenges. Step by step techniques, Trays, Materials, Impression Components, Hints and Tips. Closed tray and Open Tray Impressions. Impressions for Mixed Cases Implants and Teeth. How to recognize an inadequate impression. on occlusal adjustment on implant restorations, effect of occlusal forces on dental implants. Restoring vertical dimension of occlusion. Aesthetic Temporisation the Intermediate Healing stage. Transfer of Soft Tissue Emergence Profile. Digital impressions, scannable abutments, CAD/CAM abutments and implant frameworks, milling and SLS techniques. Immediate Loading Scenarios and Workflow Materials: Polymers in Implant Prosthodontics- High performance implant frameworks.